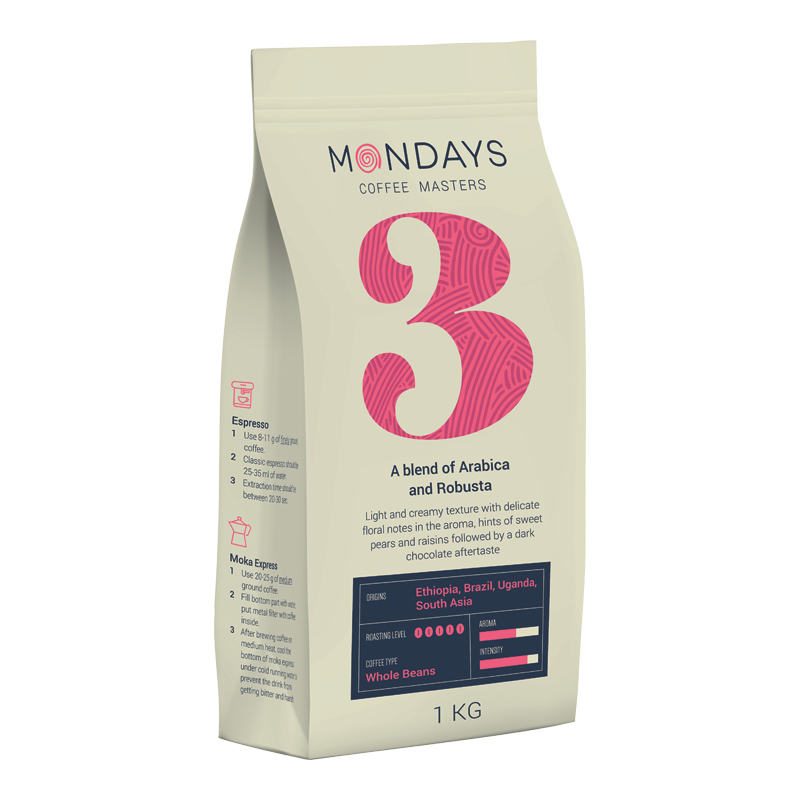 • MONDAYS Nr.3 - dark roasted Arabica and Robusta coffee beans. Light creamy texture with a gentle floral aroma, raisins and grapes sweetness. Delicate dark chocolate aftertaste.